From a rich red, to a floral white or a fine sparkling, the regions winemakers have been producing excellent wines for many decades—and the growing list of awards and endorsements that our wines are collecting is testament to the high quality on offer. When it comes to cellar door experiences, you can find everything from the tiniest boutique winery specialising in only one grape variety, to one where you can taste everything from sparkling through a range of whites or reds, plus dessert and fortified wines. Click on the wine glass for further information or download PDF map and winery guide here. A number of our cellar doors offer tasting plates or similar light refreshments, and many have picnic or bbq facilities. There are also a couple that offer a full dining experience or even on-site accommodation. 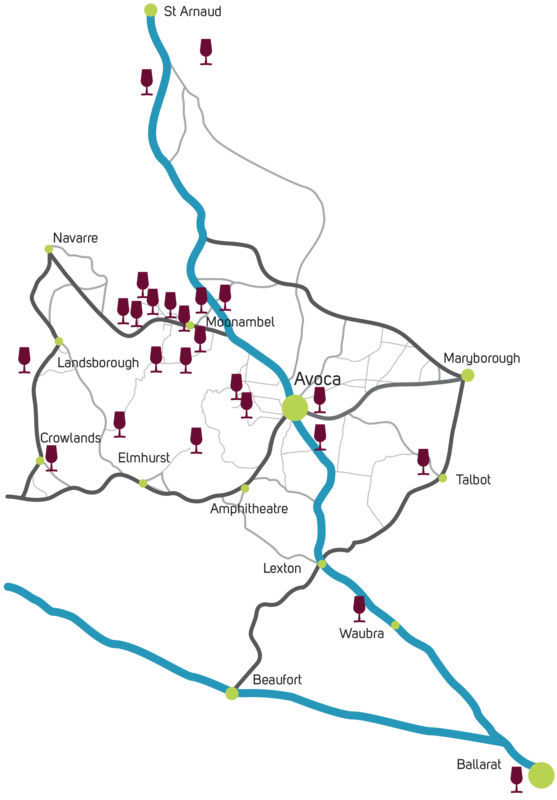 Use the map below to discover the wineries and cellar doors that are likely to be your favourites, or browse our winery listings if you prefer a more adventurous approach.